‘Cause who doesn’t love fries? Especially when they’re baked and made of parsnips? I mean, the very word parsnip just sounds way healthier. So with summer just around the bend, go ahead and make these in large batches, stuffing your face without qualm. They’re easy, convenient and just darn delicious– perfect for those weekday nights. *Note: I purposefully left proportions vague– experimentation is the spice of life! And, I believe since it’s so simple, that you should spice according to your own tastes and likes. 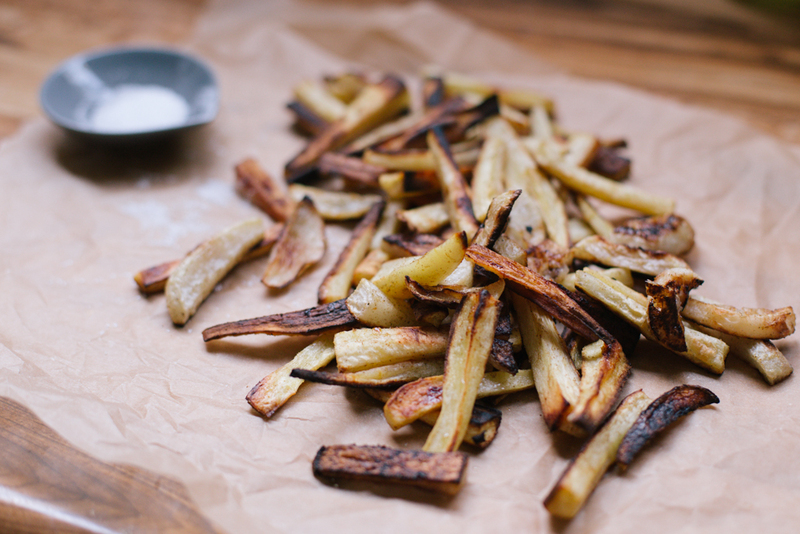 First, preheat the oven to 425 degrees F. Slice the parsnip thinly, into well, fries. In a large bowl, salt and pepper to taste. Add cumin. 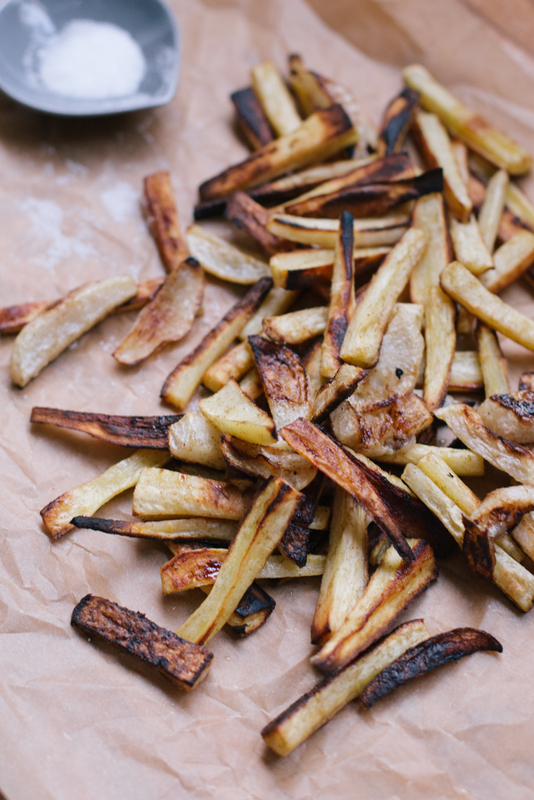 The amount of cumin really depends on you– I pretty much sprinkled enough to lightly coat all the fries. At least about 1 tsp for two small parsnips. Add just enough olive oil to very lightly coat the parsnips. Roast until brown (about 15 min), flip to the other side, and then roast until brown (about another 10 minutes).